To compare the efficacy of daratumumab-ixazomib to that of single-agent ixazomib in terms of PFS at 2 years from second randomization to maintenance therapy. About 400 newly diagnosed young multiple myeloma patients. 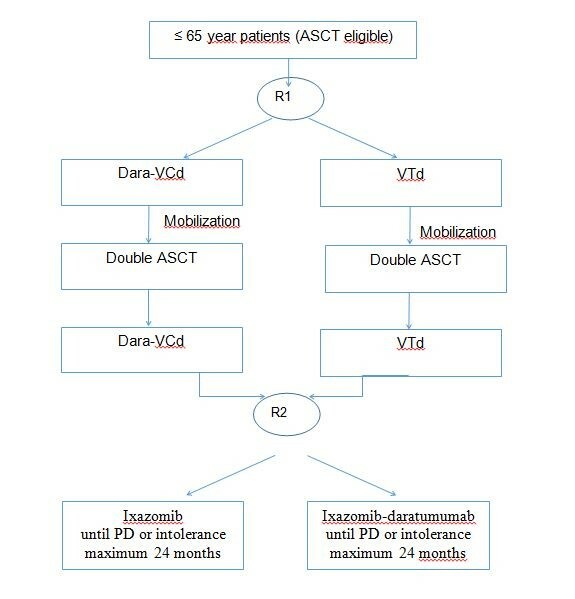 Patient at least 18 years of age and ≤ 65 years.